This holiday season, McPeak's Assisted Living suggests that those with aging relatives take note of any changes in their loved one's well-being or behavior. Such changes could indicate that it may no longer be safe for them to live alone without assistance, or if assisted living would be best to help ensure their safety or improve their quality of life. As seniors age, those who see them daily can often find it difficult to notice changes in their health and behavior. 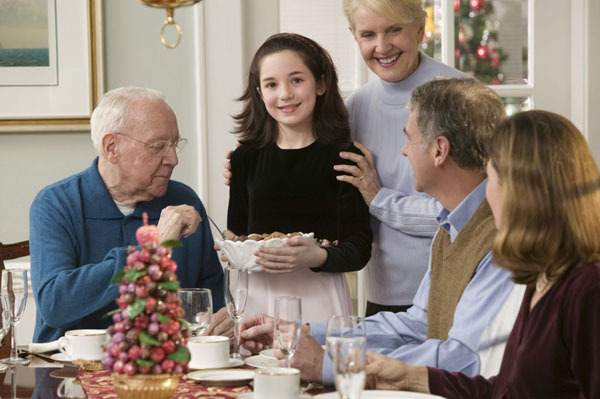 As families get together for the holidays, it may be a perfect time for family members to pay attention to elderly loved ones and discuss their health, well-being and options for assisted living. "There's a little surge in the number of inquiries we receive during the holidays because people are finally getting in touch with their parents and loved ones. Quite often, people reach out to family members they are usually not in contact with," said James McPeak, Owner, McPeak's Assisted Living. "Assisted living facilities provide quality care for the elderly who may no longer be able to take care of themselves and peace of mind for their family members." Assisted living facilities are often seen as a viable option for elderly relatives who may be experiencing Alzheimer's disease or dementia or even for those who need help with the most basic activities of daily living. According to the Assisted Living Federation of America, there are 36,000 assisted living facilities serving more than 1 million seniors nationwide. "It can be a very disappointing time for responsible family members because they see the physical or mental health of a loved one deteriorate and they need to make some decisions about care. An assisted living facility is the perfect option for that loved one. While they are being cared for by staff members, residents are able to live their lives independently. Choosing the right facility can really help improve an elderly person's physical, mental and social well-being and quality of life," Mr. McPeak said. McPeak's Assisted Living gives residents the option of either having their own rooms or sharing a room with someone else. Trained, experienced staff members are on hand to provide medications for residents when needed. Meals are served daily, and staff can prepare meals for those who have certain dietary restrictions. In addition, McPeak's offers recreational activities to give residents a chance to socialize and spend time with each other. "At McPeak's Assisted Living, we understand the needs of the elderly and offer a friendly, affordable alternative to living alone by providing a safe, warm and relaxing environment in a homelike setting," Mr. McPeak said.